1. The Working Holiday Scheme between Japan and Hong Kong was launched in January 2010, and the results of the second application period for this year will be announced on 20 November. At that time, the successful applicants’ individual application numbers will be posted on our website and displayed at the consulate’s Visa Section. 2. The annual quota for the Working Holiday Scheme between Japan and Hong Kong is set at 250 visas for each side. Applications for working holiday visas for Japan were accepted by our consulate during two periods this year, the first in April and the second in October, with 125 visas allocated for each period. The second working holiday visa application period ran from 8 to 19 October, and a total of 231 applications were received in this period. 3. All of the visa applications received by the consulate have been subject to careful examination and 145 (NOTE) applications received during the second 2012 period have been approved. 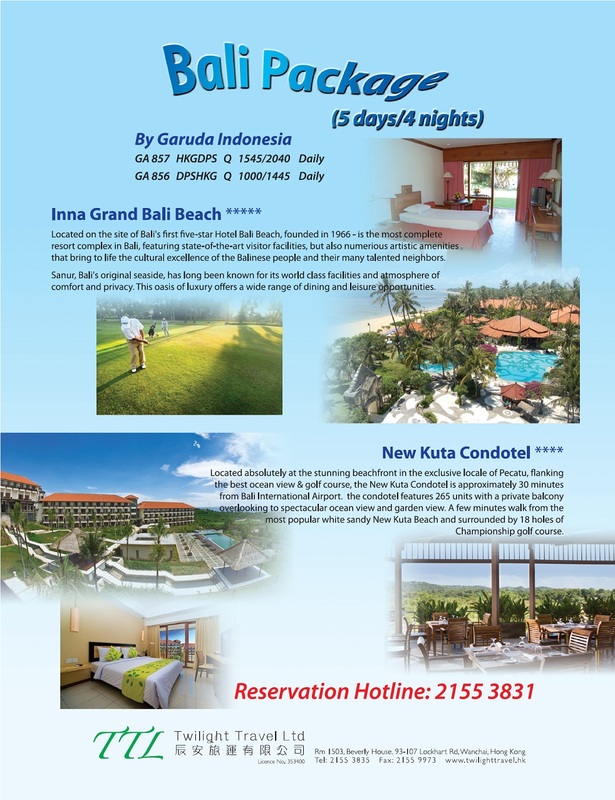 Successful applicants will be able to collect their visas during the period from Wednesday, 21 November, 2012 to Friday, 22 February, 2013 (Saturdays, Sundays and consulate holidays excluded). 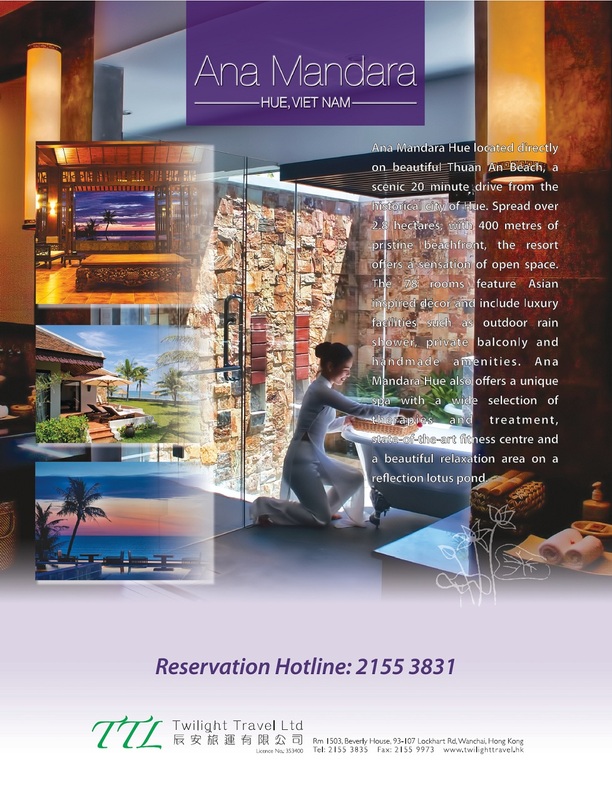 Working holiday visas are issued free of charge. 4. The 231 working holiday visa applications received during the second 2012 application period represented a 21% increase on the 191 applications received during the first 2012 period. 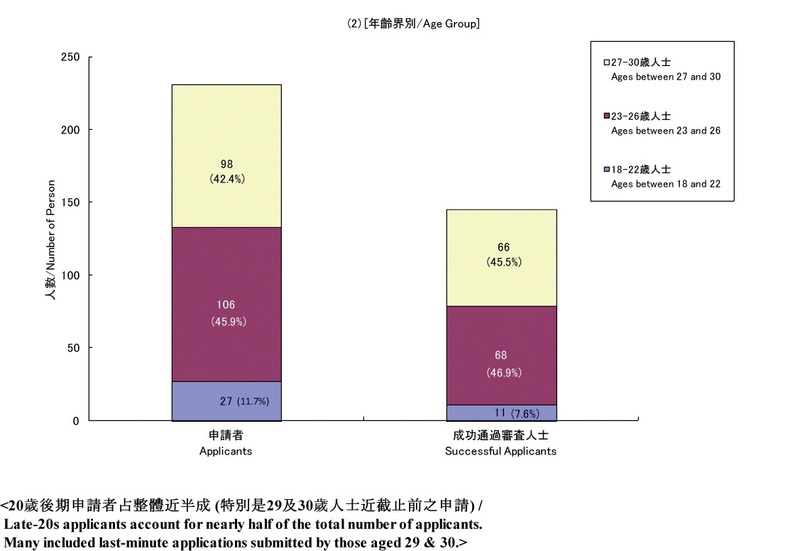 The quota for the second period (145) (NOTE) was exceeded by the number of applications received (231) by a ratio of 1:1.6. And the total of 422 applications received in 2012, i.e. during the first and second periods combined, exceeded the annual quota of 250 by a ratio of 1:1.7. (NOTE): The number of successful applicants in the second period amounts to 145, rather than 125, because 20 successful applicants from the first period did not collect their visas. Compared with the number of applications received in 2011, there was a 41% increase in the number received in 2012 (i.e. 123 more applications). 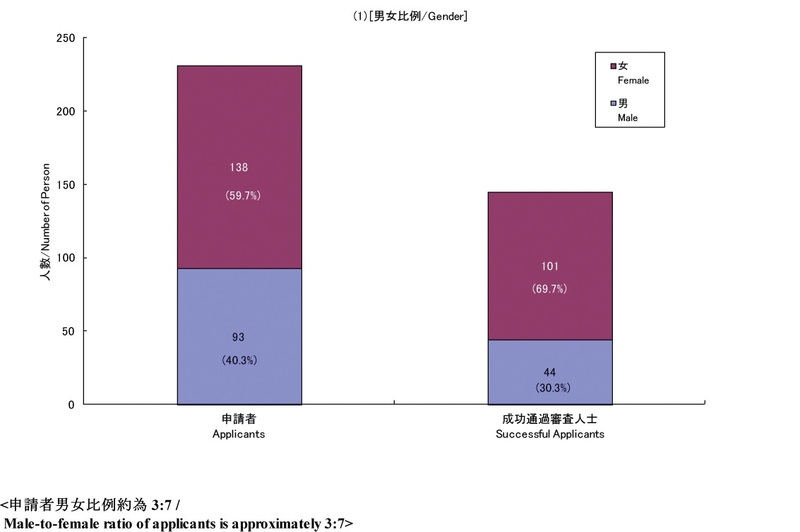 It is clear from the above figures that in 2012, as in 2011, the group of successful applicants included a higher percentage of female, as opposed to male, applicants. This year, compared with 2011, the proportion of successful applicants in the 23-26 age group was up by approximately 7 percentage points. It was down by approximately 3 percentage points in the 18-22 age group; and by 4 percentage points in the 27-30 age group. (NOTE) In the first period of 2011, due to the impact of the 11 March earthquake and tsunami on the timing of the application process, we made a special case and accepted one application from an applicant who was 31 years of age. For the purposes of simplicity, this application is included in the 27-30 age group in the above table. 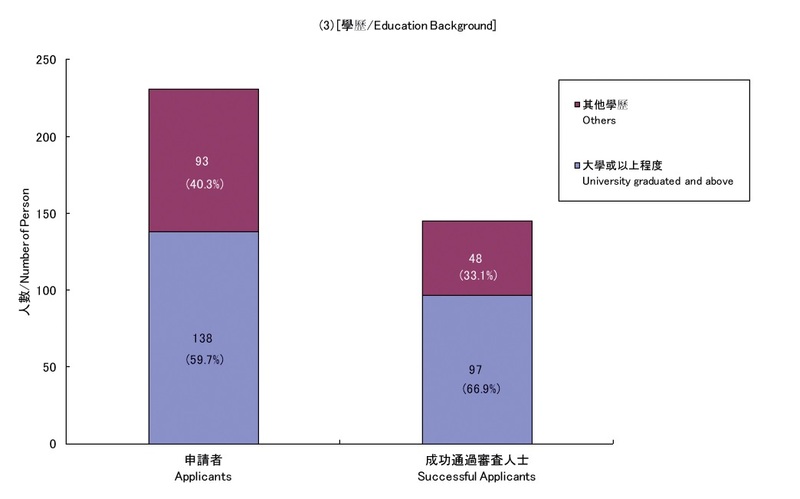 In 2011, the percentages of successful applicants in both the “University or higher” & “Others” categories were very similar. But in 2012, there was a significant difference. In fact, the number of successful applicants in the “Others” category (112) was exceeded by the number in the “University or higher” category (158) by a ratio of 1:1.4. (NOTE) The statistics above include those who are attending but have not yet graduated from their university or school etc. 5. 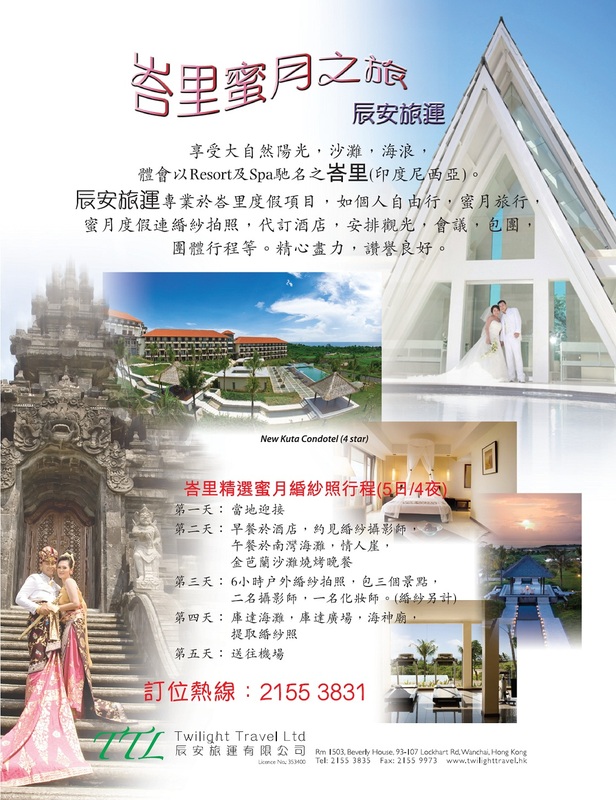 The consulate is very grateful for the interest shown in working holiday visas. 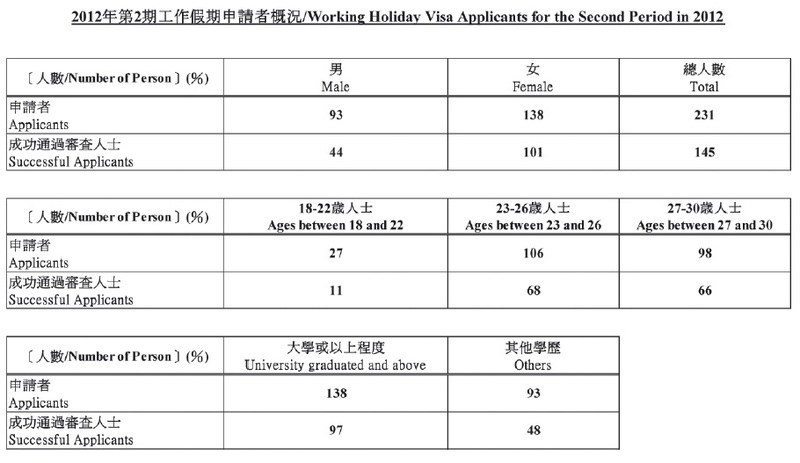 We sincerely hope that an even larger number of young Hong Kong people apply for working holiday visas next year. 6. The working holiday visa application schedule for 2013 will be announced on our consulate’s website in December this year.